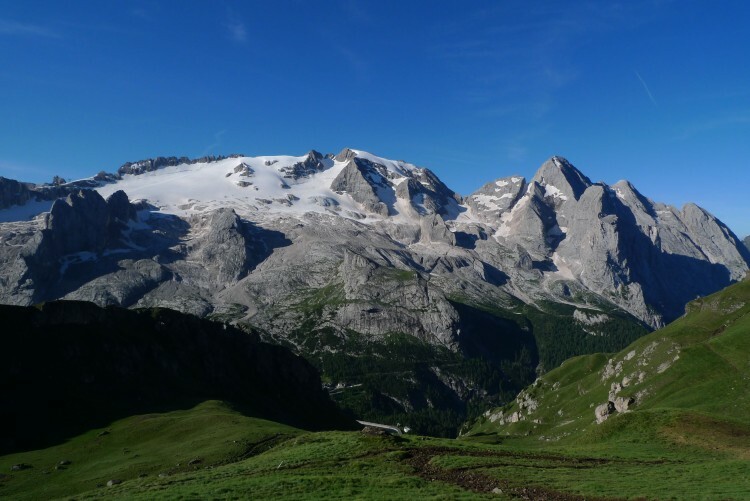 Lying between the Marmolada and Sella Massif’s is La Mesoles and Monte Padon, a geological anomaly. You’d be forgiven for thinking that with a name like the Dolomites, that they are one homogeneous lump of their namesake rock. They are anything but. With the massive calcareous limestone bulk of Marmolada, the Granite of Cima d’Asta and the Lagorai, the underlying Porphyry of Alpi di Siusi and the western regions, this jagged ridge just adds to the variety. Its dark volcanic rock, not only does it provide a substantially different climbing experience but visually its striking, with at points a true knife edge ridge which affords superb, technical, exposed scrambling and climbing with outrageously good, uninterrupted views across the Dolomites. Not only this, but with its rich history as a WW1 front line trench, its hugely interesting. 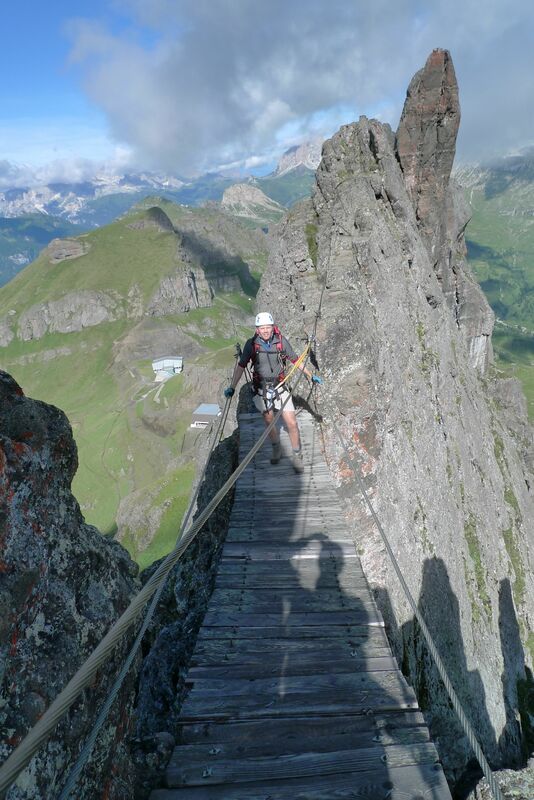 This is absolutely one of the best Via Ferrata I’ve done anywhere! Approach can be achieved very easily by taking a lift from Arabba to Porto Vescovo, or from Malga Ciapela to Monte Padon. Or if you want to avoid the lifts, either walk up the piste from Rifugio Passo Fedaia until you can walk westwards towards Porto Vescovo, or attack directly from the western end of Lago Fedaia with a steep ascent to the start. The difficulties commence rather abruptly – the start is technically difficult and it is a rude awakening. Please make sure that you space yourselves adequately in this area, as it is vertical, a little slippy, and a fall into somebody else could be really nasty here. If you are with inexperienced climbers, consider taking a short rope to belay them from one of the higher anchor points. Once over these first 40 feet of climbing the difficulty eases, but the exposure begins. Weaving its way between fantastic pillars of rock the route climbs over the jagged crest of the ridge, hardly deviating from its top, like a crazy Crib Goch; the black rock is grippy and rough and very different to anything in these parts. Looking back along the ridge you realise just how precarious the line is, crossing bridges, circumnavigating slender pinnacles. And then quite abruptly, in a col, you reach the first of the war remains, some ruined barracks perched nearly at the very crest of the ridge – an inhospitable place indeed to find yourself in the long winter. Walking through, only feet from the edge makes you realise how tough the men who were stationed here must have been. As soon as it arrived it’s gone again as you drop over an edge and into the abyss – following rungs inexorably downwards until you can once again rejoin a flatter section of ridge line. Here end the main difficulties, with the rest being fun walking and towards the end you reach the tunnels. Here having a torch is mandatory! 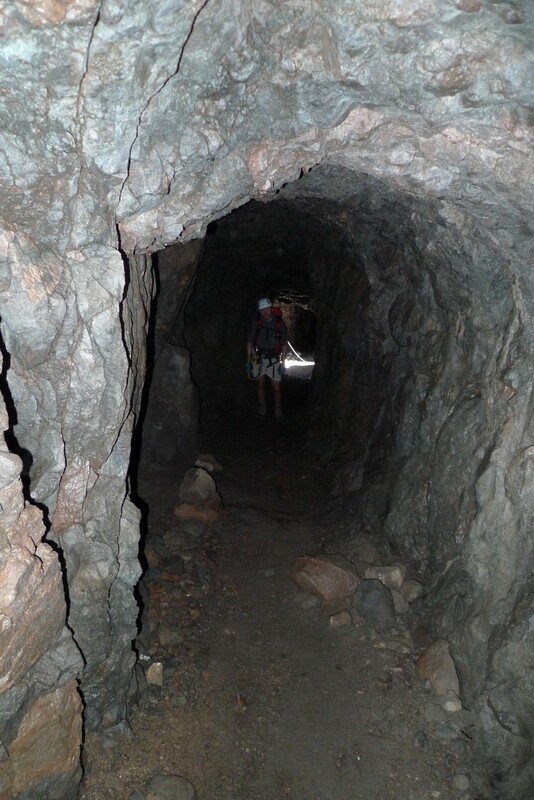 The tunnels wind their way through the bowels of the cliff with galleries leading off into the darkness and only the occasional opening out to the southern side – presumably gun emplacements. In places they are long halls, in others only just tall enough and wide enough to afford passage whilst bending double. 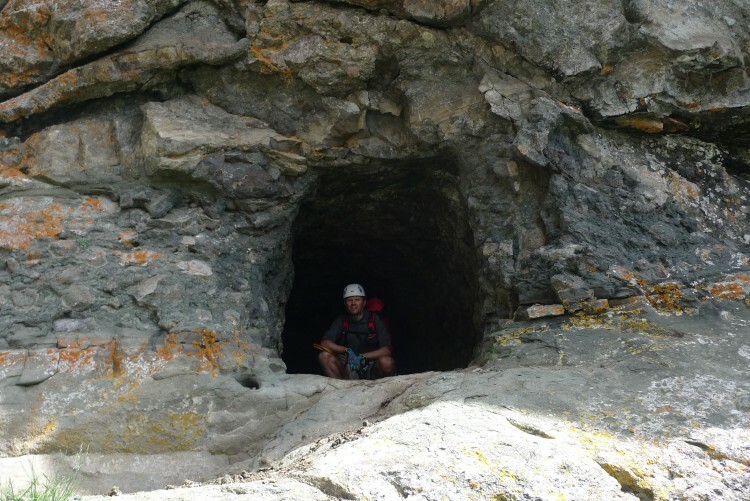 Inbetween there are further sections of ridge line, until finally you emerge out of a tunnel just above Passo Padon. Here, those who approached from Arabba must drop down to the path on the southern side of the ridge and return to Porto Vescovo, whilst those coming from Passo Fedaia can walk down the hillside using the ski slopes, or the lift. I’d really like to be a part of community where I can get comments from other experienced people that share the same interest. Thanks Pablo, there are various forums you could join up to. Planetmountain is an Italian website with an active forum and lots of information about the Dolomites in particular. 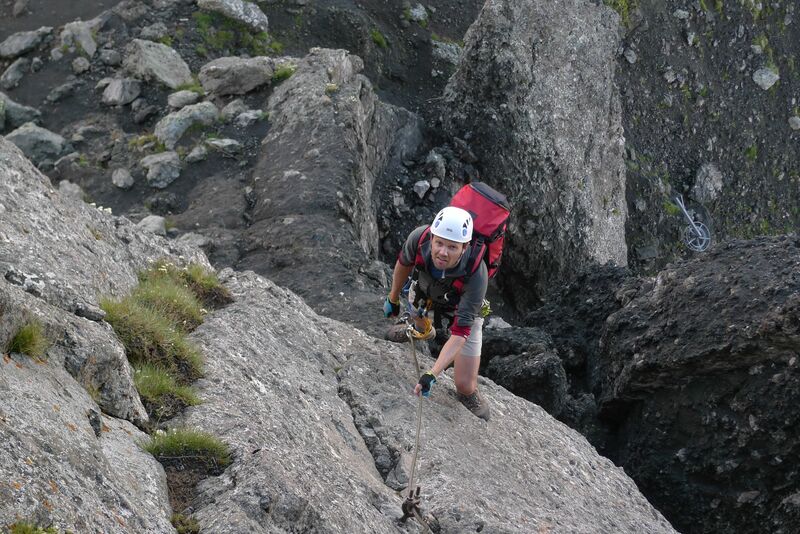 I myself am an active user of UKClimbing and Outdoorsmagic, two UK forums. Theres also Supertopos which is more US based and oarticularly useful for information about climbing in Yosemite and California. Was there anything in specfic you want to know? More than happy to help if I can?